Tyler Reese is a 23-year-old guitar virtuoso with extensive experience in live performance, writing, production, studio, and session work. Tyler is an innovator of Contemporary Instrumental Music, Jazz Fusion, music based in Jazz but with aspects of rock, funk, rhythm and blues, and orchestral. 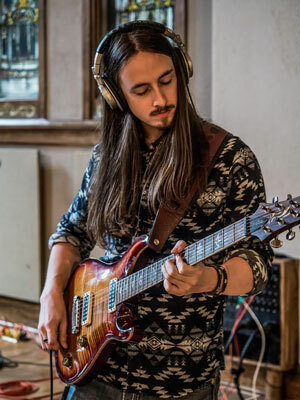 Tyler, who has studied with Pat Metheny and played with Prince, among many others, has participated at numerous showcase events and is an acclaimed studio and live musician in Nashville. 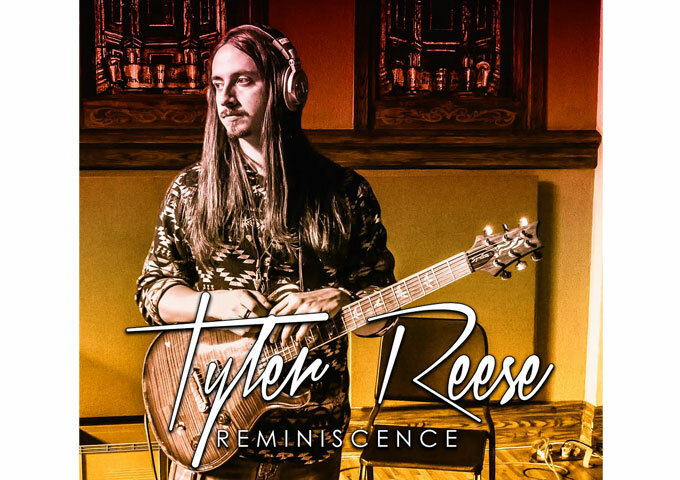 Tyler Reese recently released his album entitled, “Reminiscence”, produced by Jeff Silverman (Rick Springfield, Hiroshima, The Allman Brothers Band, Tim Weisberg) of Palette Studio. “The seed of my inspiration for ‘Reminiscence’ came from needing a creative change and a musical recharge – something fresh and new – so I delved into writing and found myself back at my jazz roots and renewed my love of fusion. It has rekindled my musical soul. I hadn’t realized that I had so many ideas floating around in my head. The writing and production process was fun and inspiring, but challenging and liberating at the same time. The body of work is truly no holds barred, which is exactly what I was going for,” said Reese, a Fredericksburg, Virginia native who will return to the area to perform on November 20 at the Riverside Center and November 23 at The Tin Pan in Richmond. Tyler Reese is an amazing musician. His extraordinary technique could potentially overshadow his incredible writing and arranging skills, but with “Reminiscence”, they all fuse into a glorious panorama of sound. Outstanding tracks like “2Funk” is a mind bending cacophony of funky horns, thumping bass lines, and blazing, chorded and arpeggiated, electric guitar riffs and melodies. “Moving On” offers a smooth acoustic rhythm, where most impressively, Tyler plays with both precision and grace, showing off technical virtuosity without sacrificing the music’s soul. Another captivating track is the intensely energetic jazz fusion of “Out Of Orbit”. The guitar playing is fierce, funky and tasteful, with fine-tuned precision reigning between the players featuring on the track. Tyler Reese is unquestionably one of the most proficient young jazz fusion guitarists to come out of the States for a long time. He has the whole package: sharp staccato passages that crackle like machine-gun fire, high searing solos with notes that twist and turn as he bends them, and a sensitive but all-pervading acoustic guitar style. Tyler is a great guitarist with excellent tones, exciting compositions and arrangements, backed by production of the highest order, and surrounded by excellent players. This is lively, innovative, and rewarding music. Tyler Reese begins his new musical journey with “Reminiscence” and already displays a well-defined musical articulation normally associated with players twice his age. VerseBorn: “Gold Frame” – Moving between intellectually poetical to street philosophical! Will Snyder: “Lonely Afternoon” will thrill your ears!